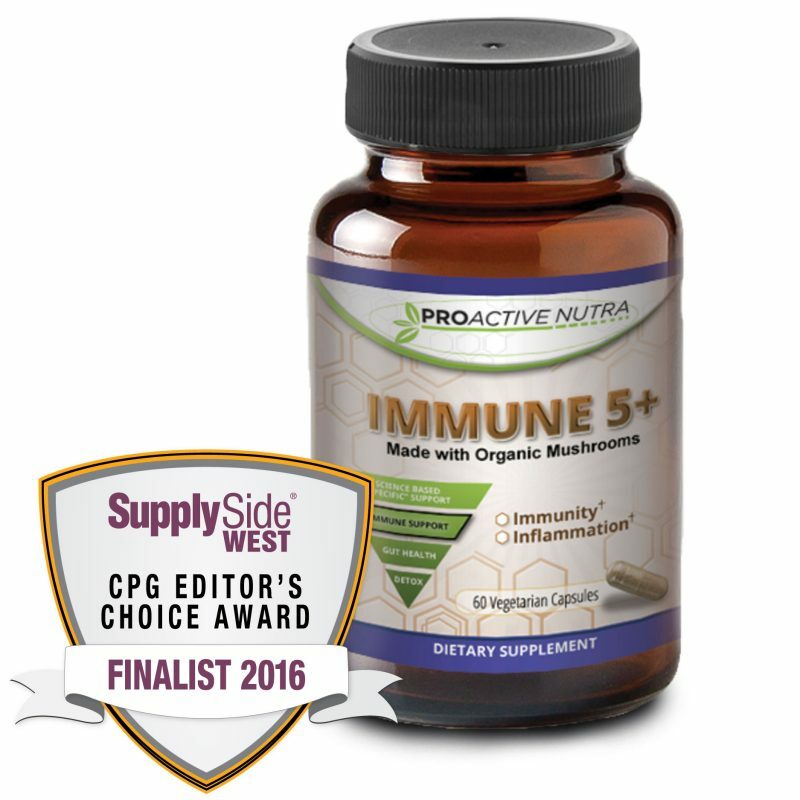 Immune Support with IMMUNE 5+ has been selected as a finalist for the 2016 CPG Editor’s Choice Award. 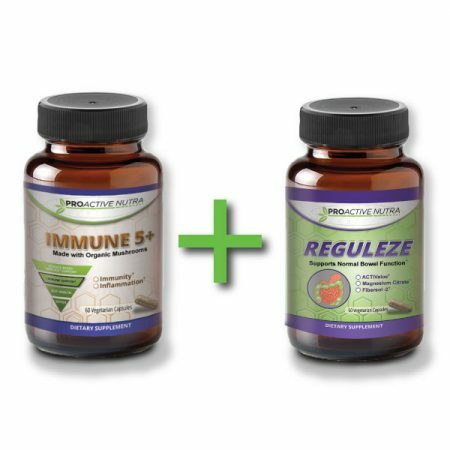 • Scientifically formulated to enhance the body’s development of adaptive immunity and natural inflammatory responses through interaction with gut microbiota. 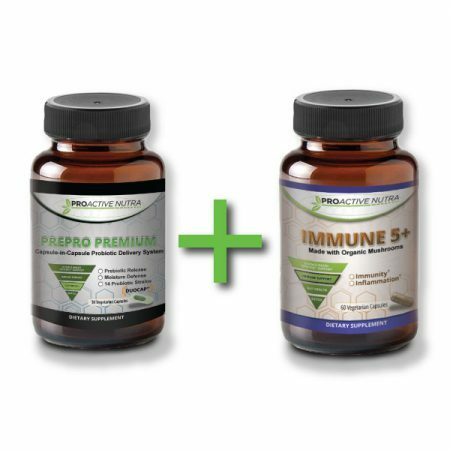 • Specially selected organic mushrooms included because of their adaptogenic metabolites supporting the modulation of our body’s immune system. 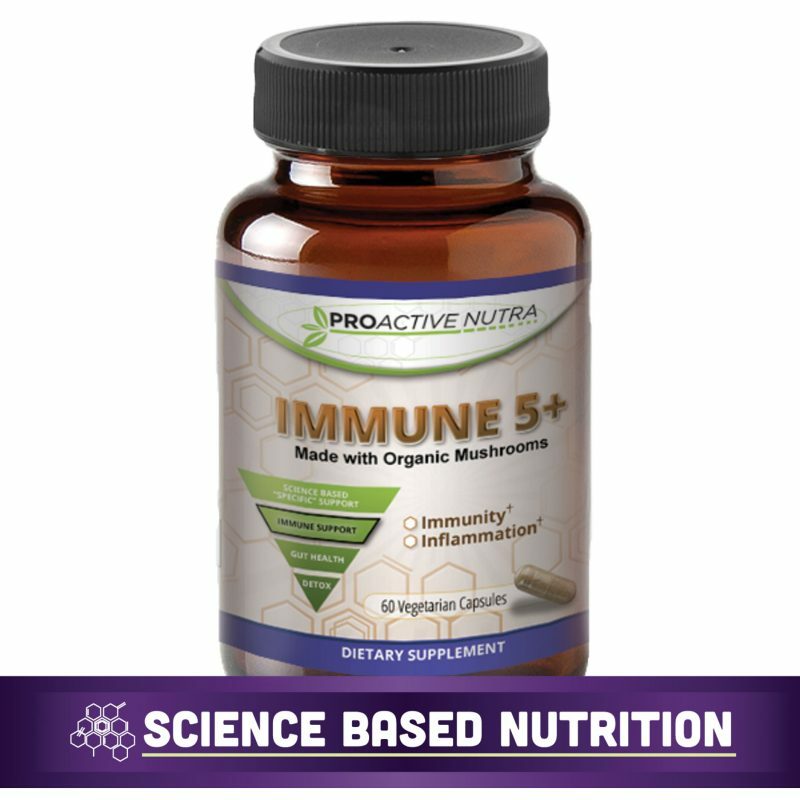 • Proactive Nutra uses the top five mushroom blend that are each beneficial for your health and your immune support. 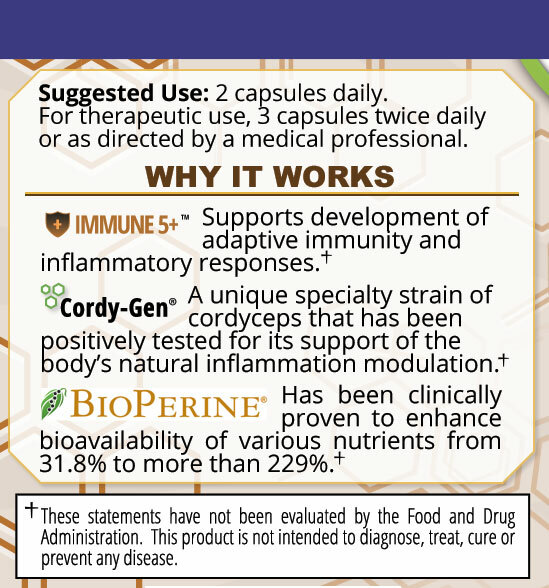 ○ Cordy-Gen® (Ophiocordyceps sinensis)– supports the body’s natural inflammation modulation. 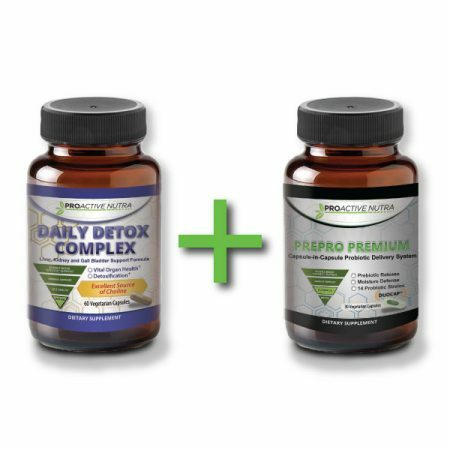 ○ Reishi (Ganoderma lucidum)– can reduce the overactive immune response that occurs in conditions such as allergies, asthma, and autoimmune diseases. 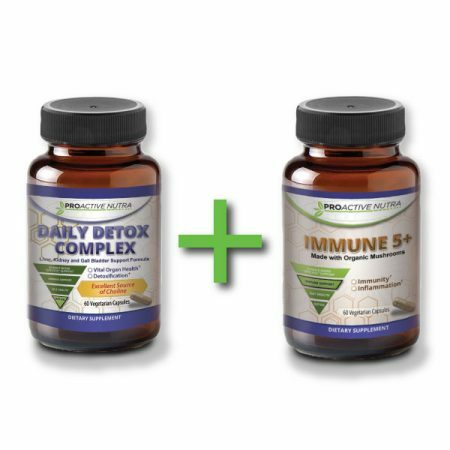 ○ Turkey Tails (Coriolus versicolor)– strengthens the immune system, increases energy, and delivers pain relief with no ill side effects. 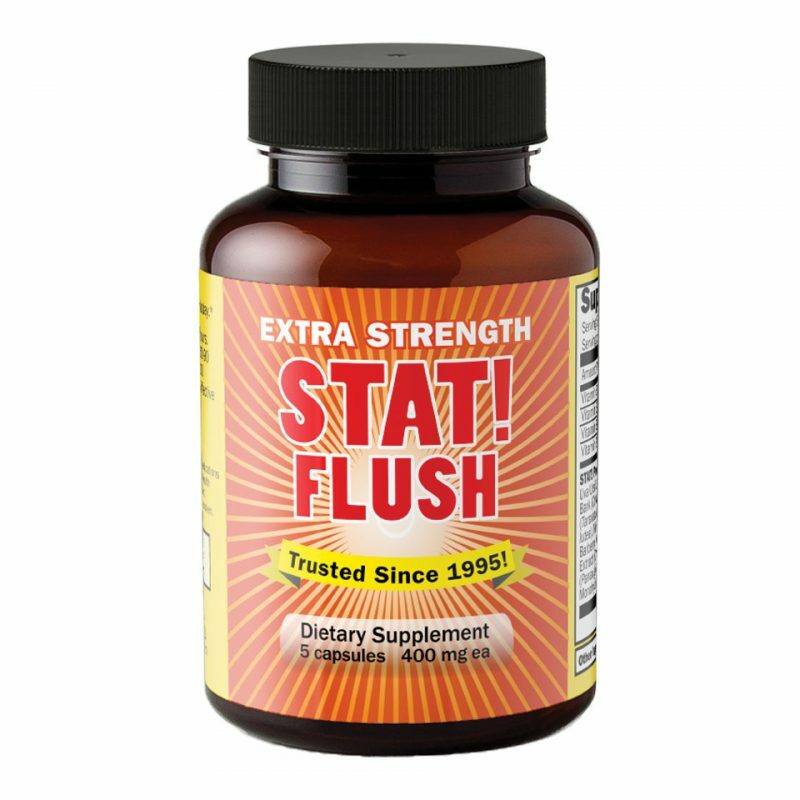 ○ Shiitake (Lentinula edodes)– combat many viruses by way of providing important vitamins, minerals and enzymes. ○ Mushroom of Life (Agaricus blazei)– rich in beta glucans that contributes to the immune activity. 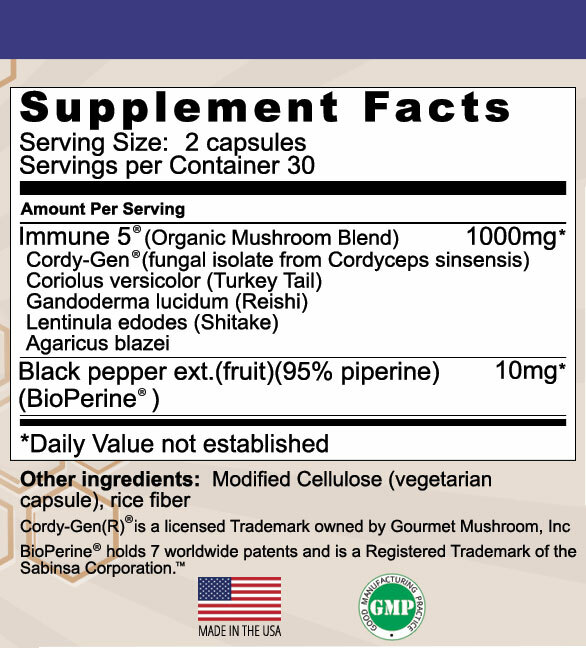 Could Immune 5+ use more than 5 mushroom types in the blend? 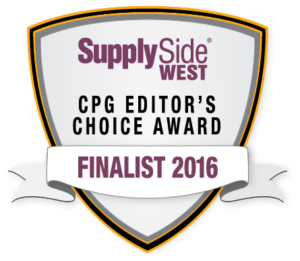 We can, but we know that these specific mushrooms are the best of the best. You may discover other blends with a great variety of mushrooms. What they fail to mention is that cheaper additives are less effective and essentially act as an inexpensive mushroom “filler”. Other Blends contain less than 40% of the top 5 blend. Leaving other 60% as inexpensive filler materials. 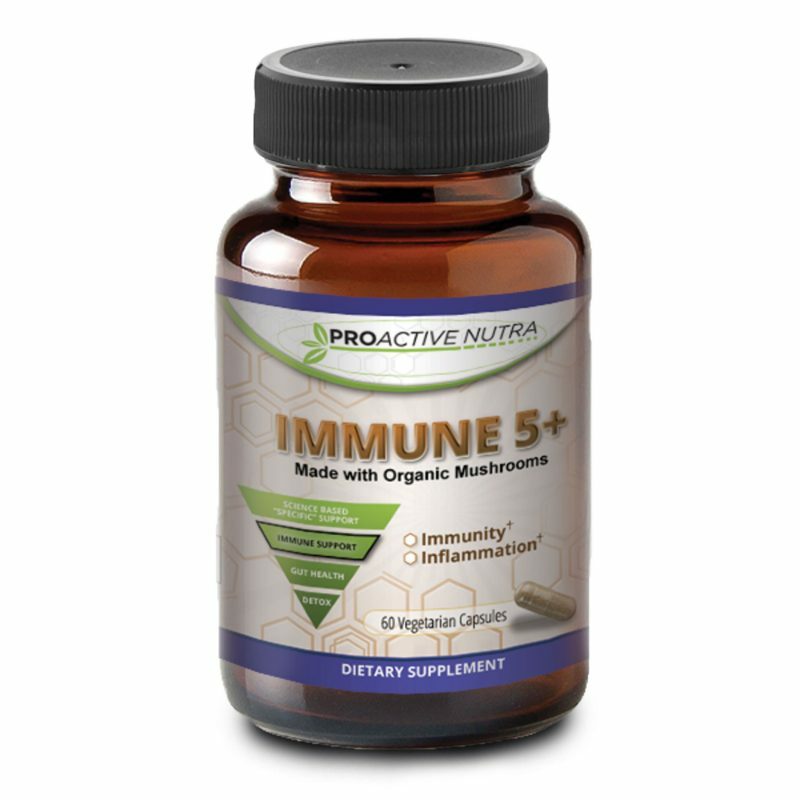 Our “TOP 5” high quality mushrooms in each capsule means focused results for you and your immune support and health. 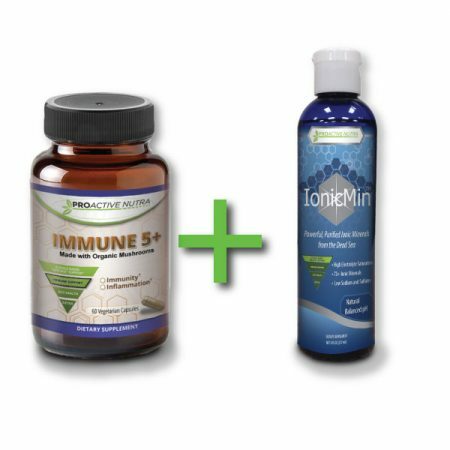 Immune 5+™ is specially formulated with which has been clinically proven to significantly enhance the bioavailability of various supplement nutrients through increased absorption [31.8% to 229% increase]. BioPerine® is an extract from the black pepper fruit. 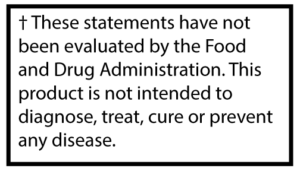 The extract of piperine, called BioPerine® in the patented form, has been clinically tested in the United States. BioPerine® is the only product sourced out of piperine to obtain a patented status for its ability to increase the bioavailability of nutritional compounds. It is standardized to contain a minimum of 95% Piperine where as plain black pepper has about 5-9% Piperine. Secondly, it is the only source from piperine to have undergone clinical studies in the U.S. to substantiate its safety and efficacy for nutritional use. 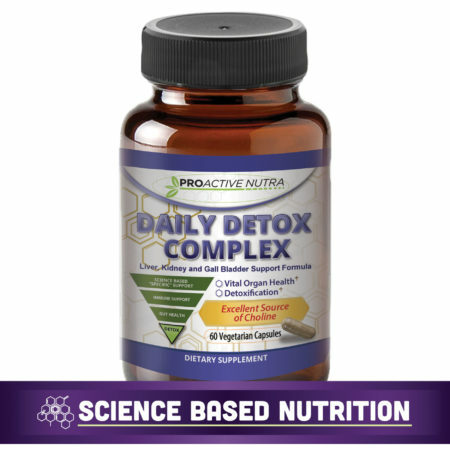 2 capsules daily. 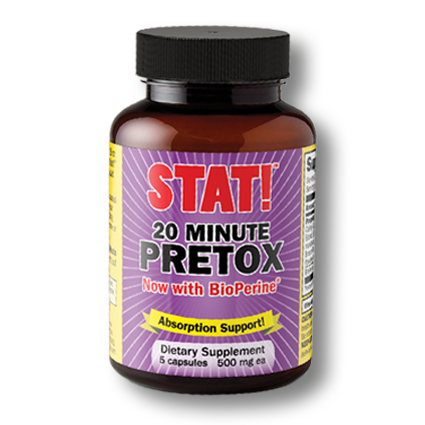 For therapeutic use, 3 capsules twice daily or as directed by a medical professional.